While Kanazawa isn’t yet a staple on the average tourist’s Japan circuit, this city in Ishikawa prefecture is a great place to steep yourself in the best of the country’s traditions while simultaneously enjoying some cutting-edge art and food. 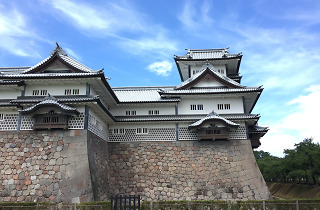 With the extension of the Hokuriku Shinkansen from Nagano to Kanazawa in 2015, thus putting it within easy reach for travellers from Tokyo, the city has thrown open its doors to tourists, domestic and international alike. 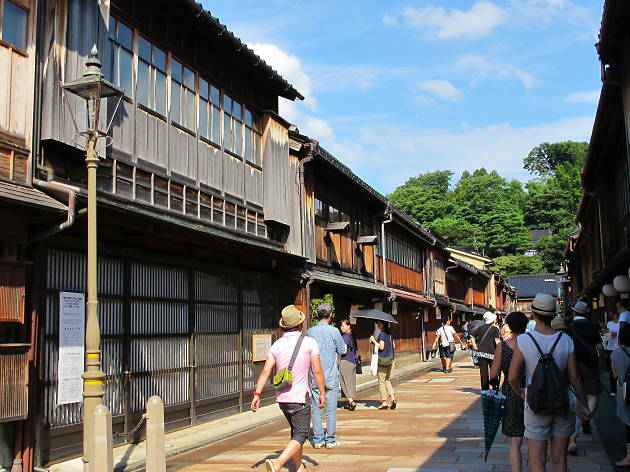 Spared from the bombings of World War II, much of the city’s architectural heritage has been well preserved and Kanazawa has much to offer visitors in terms of historic appeal. 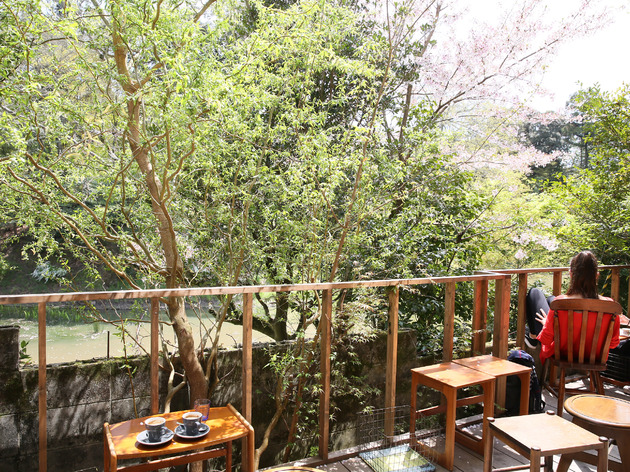 Still relatively off the beaten path, this ‘little Kyoto’ deserves a pin on your map for its walkability, traditional charm and increasing cohort of innovative coffeeshops and restaurants. 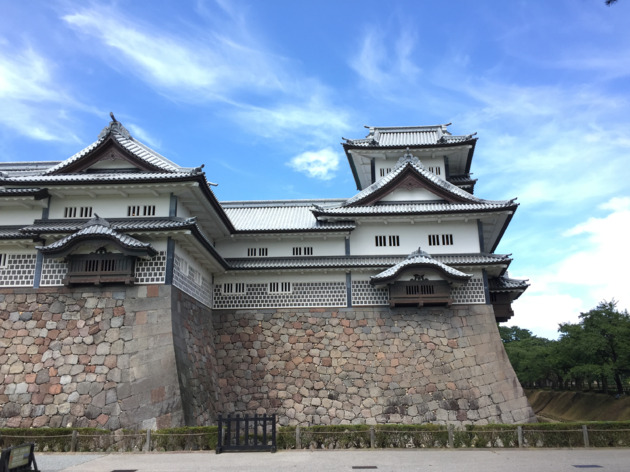 While you can tour Kanazawa in a day, give yourself two to fully embrace all it has to offer; the truly adventuresome can rent a car and extend their trip with an easy drive from the city to the naturally scenic Noto region. 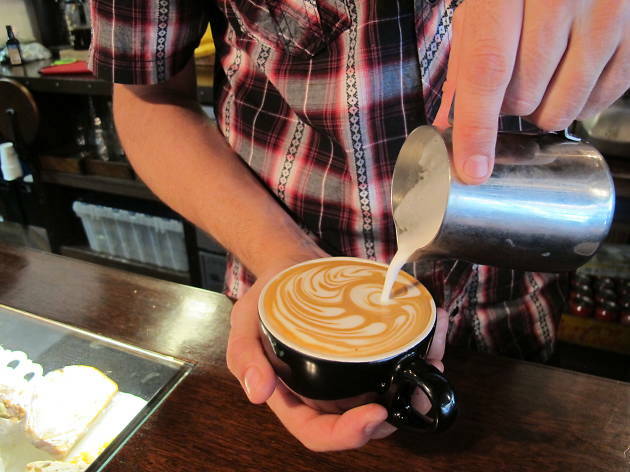 Curio is part café, part coffeeshop and part irreplaceable community space. Its owners, husband and wife Sol and Yuko, have been serving up innovative Seattle-style espresso and comforting, homemade food for the past several years. Come for the cinnamon latte or the pulled-pork sandwich and stay for the relaxed vibe, conversation and wi-fi. If you’re lucky enough to be in Kanazawa on a Wednesday, stop by for the weekly farmer’s market; if you come on the first Saturday of each month drop by their open-mic night for an evening of musical entertainment, drinks and a taste of truly local nightlife. 1-13 Yasuecho, Kanazawa-shi, Ishikawa. 076 231 5543. 8am-6pm, closed Tue. Step into the grounds of Higashi Chaya and you just might feel like you’ve travelled back 150 years or so to the Edo period. While Kanazawa has several well-preserved chaya (traditional entertainment districts), Higashi Chaya is the largest and most popular. Wander about the narrow alleyways admiring the two-storeyed chaya from the outside or peer through the lattice windows to find a shop or café that catches your eye. Don't miss the Hakuza Gold Leaf store where you can find an entire traditional storehouse gilt in gold leaf. Rent a yukata to enhance the walking ambiance, but don’t be surprised if people ask you to stop for photos. If you return in the evening, you might see a geisha or maiko walking around between appointments. Higashi Chaya is accessible via the Kanazawa Loop Bus. Plat Home is modern washoku at its finest. 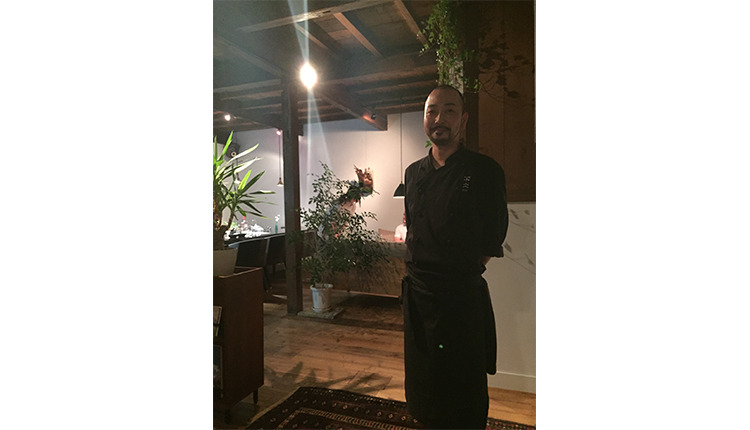 Chef Ponta Okagawa transforms seasonal ingredients into fresh and enticing dishes at his cozy two-room restaurant – if you can, sit at the counter for the opportunity to watch him in action up close. Portion sizes are small and perfect for tapas-style dining, but with dishes like summer corn and shrimp tempura you won’t want to share. Don’t skip dessert – the crema catalana is quite possibly the best you’ll ever have. Plat Home gets quite busy on weekends, so consider making a reservation beforehand. 1-3-4 Hikosomachi, Kanazawa-shi, Ishikawa. 076 256 5075. plathome2530.wixsite.com/plat-home. 5.30pm-10.30pm, closed Mon. A ¥350 cover charge and one drink order is required per person. 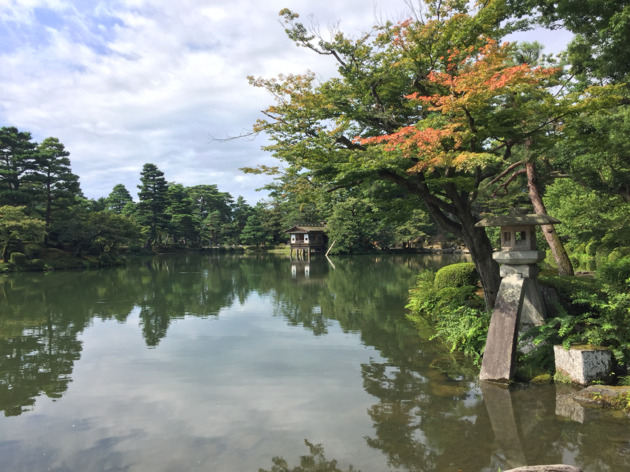 One of the ‘three great gardens’ of Japan, Kenrokuen is a sprawling complex of winding paths, ponds, bridges, massive pine trees, tea houses and picturesque stone lanterns. Regardless of season, Kenrokuen has something to offer: cherry blossoms in the spring, irises and verdant walkways in summer, brilliant autumn foliage, and yukitsuri – ropes erected over trees in a conical shape in order to protect them from heavy snowfall – in winter. After meandering about the garden, pop into the Ishikawa Prefectural Museum of Traditional Arts and Crafts from the Kenrokuen entrance (the gift shop on the ground floor is free, but access to the exhibits upstairs is ¥260 for adults) to get a fantastic glimpse of Ishikawa’s thriving traditional art scene. If art isn’t your thing, continue your walk in the spacious grounds of Kanazawa Castle. Either way, arrive early to avoid the worst of the crowds. 1 Kenrokumachi, Kanazawa-shi, Ishikawa. www.pref.ishikawa.jp/siro-niwa/kenrokuen/e/index.html. Open daily, Mar 1 to Oct 15 7am-6pm, Oct 16 to end of Feb 8am-5pm. ¥350. Huni blends so perfectly into the neighbouring houses you almost won’t notice it’s there; it’s the perfect spot to feel you’re eating and drinking like a true local. You’ll have to go out of your way to get there, but the trek is worth it. 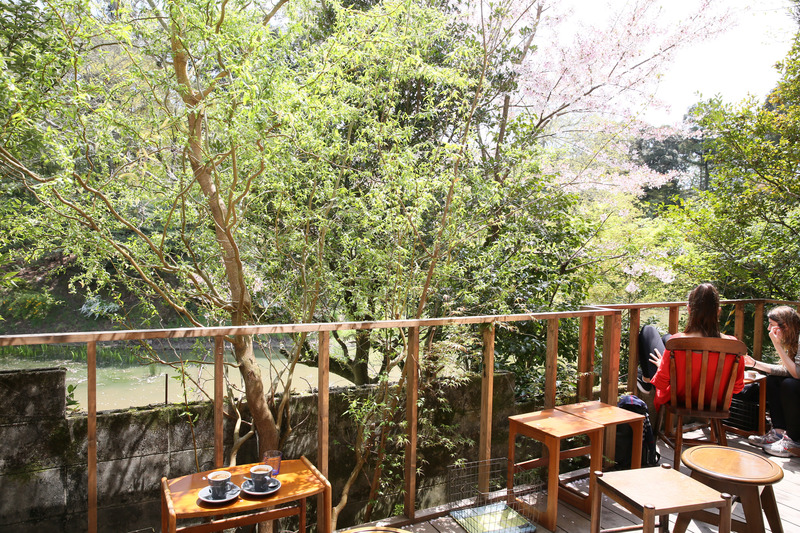 Perched right on the banks of the Asano River, the dining room and second floor have a fantastic view of the water, enhancing the dining experience. 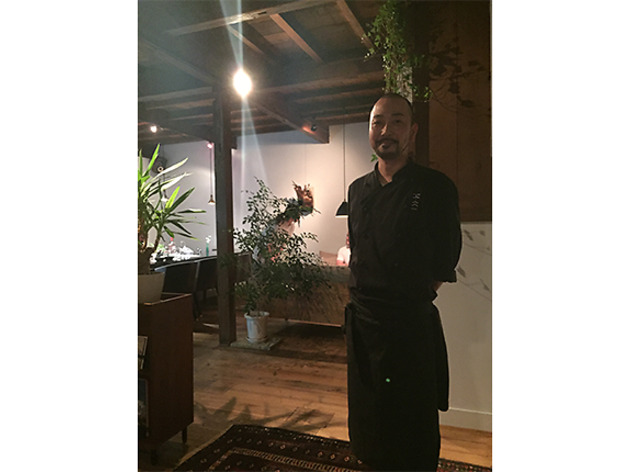 Start by picking a drink from the bar’s excellent selection of wine, beer and Japanese liquor and then order the appetiser sampler, which chef Takuo Hasegawa will customise to suit your poison of choice. The atmosphere is cozy and the food is delicious – expect to linger. 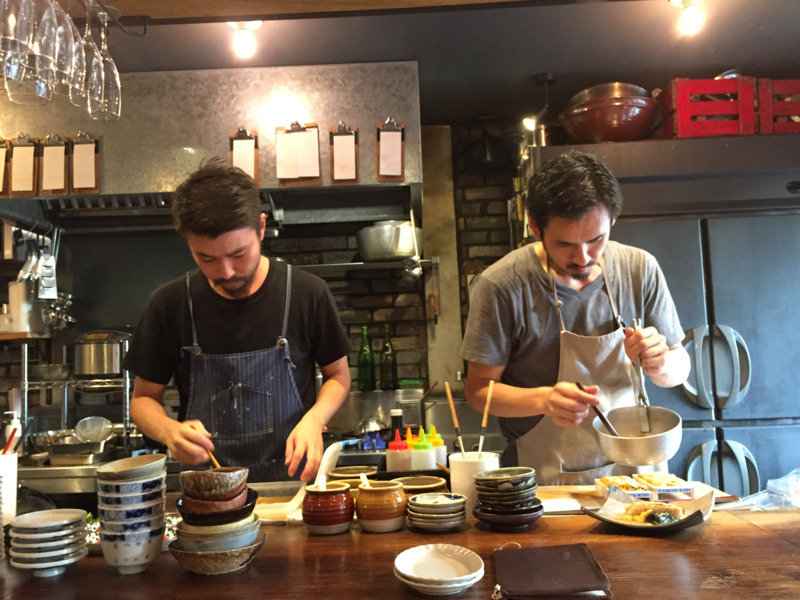 29-13 Zaimokucho, Kanazawa-shi, Ishikawa. 076 225 8012. 6pm-12midnight, closed Tue. Cover charge ¥500 per person. 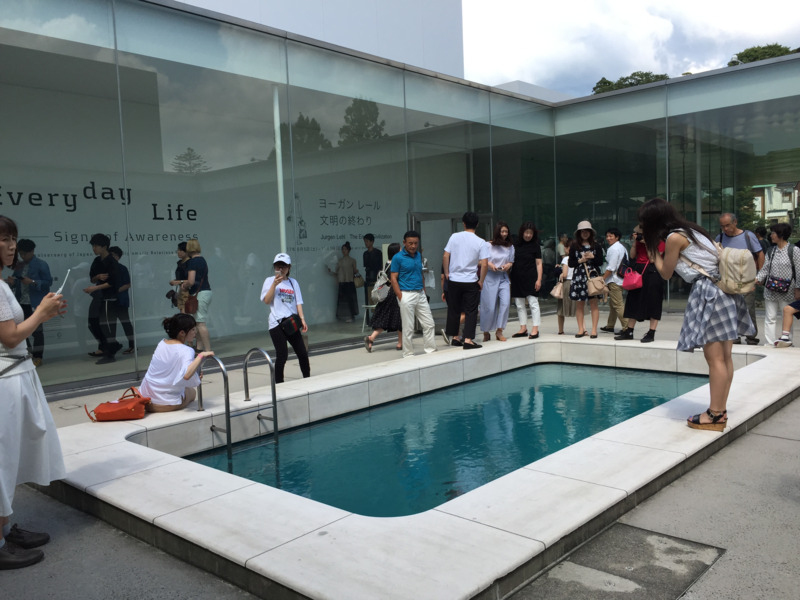 The 21st Century Museum of Contemporary Art is a must-see for any visitor to Kanazawa. It hosts a rotation of thought-provoking and fascinating exhibits from both Japanese and international artists, so expect the unexpected. Highlights from the permanent collection include ‘The Swimming Pool’ by Leandro Erlich and ‘Blue Planet Sky’ by James Turrell. Spend some time enjoying the public spaces as much as the art – this is a museum you’ll want to return to again and again. 1-2-1 Hirosaka, Kanazawa-shi, Ishikawa. 076 220 2800. kanazawa21.jp/en. 10am-6pm, closed Mon. Ticket prices vary by exhibition.